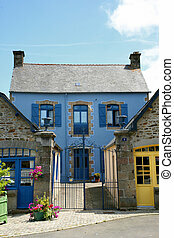 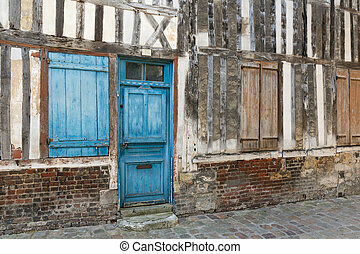 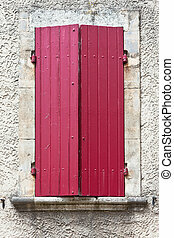 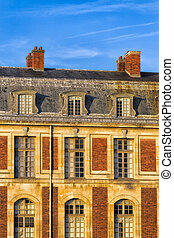 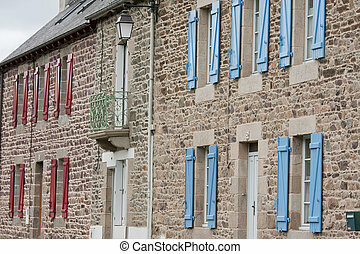 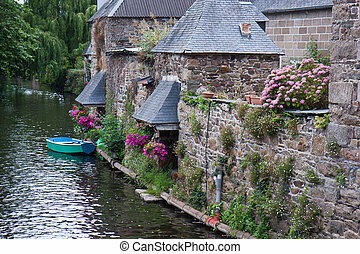 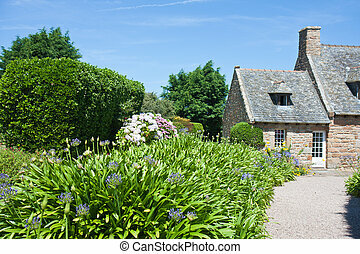 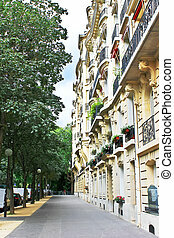 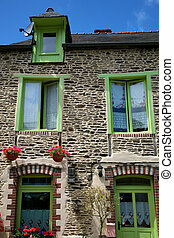 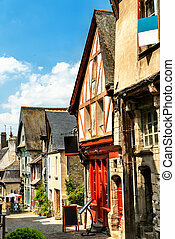 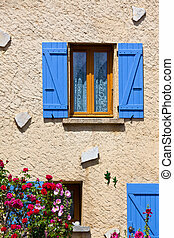 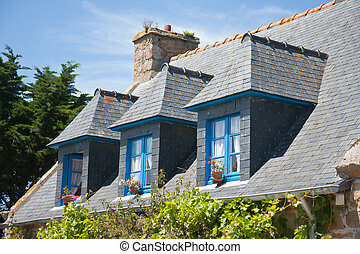 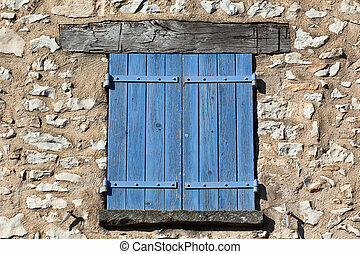 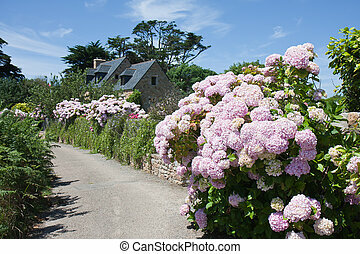 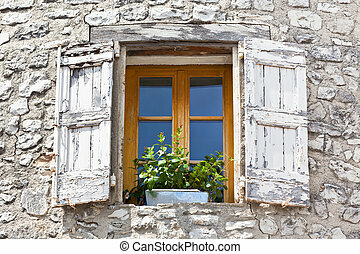 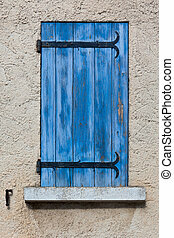 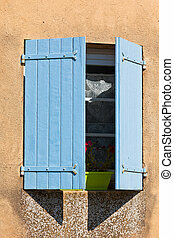 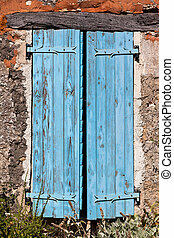 Facade of traditional breton houses with blue shutters in france. 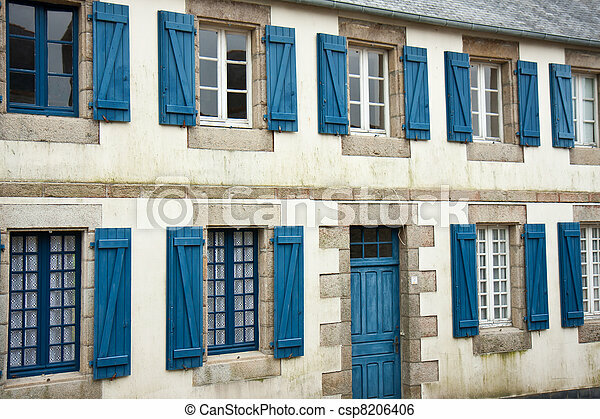 Facade of traditional breton houses with blue shutters, france. 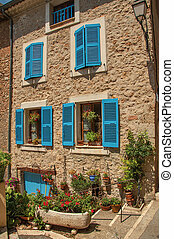 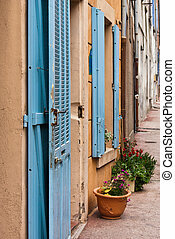 Houses with blue shutters in a row in a small village in Provence in France. 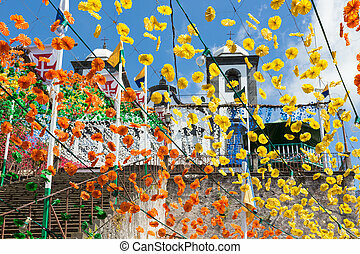 Stairs with flower decorations of a Church in Madeira, Portugal.